Have you ever wondered what it takes to experience the good life? Have you been secretly praying for a breakthrough, hoping that you might enjoy all of the good that God intends to come your way? 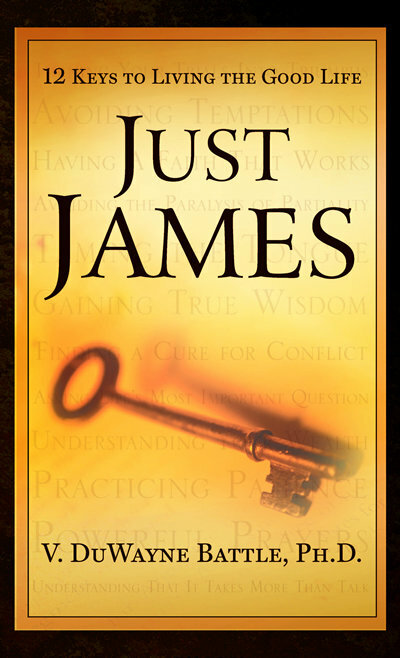 Just James – 12 Keys to Living the Good Life may be what you’ve been looking for. This indispensable resource consists of twelve dynamic lessons to help you maximize your potential. After reading this book, you will want to share the insights with others who are also seeking to enjoy the good life. This book can be used as an aid in your personal devotions, church Bible class, home Bible study, or small group meeting. Learn and apply these twelve keys to living the good life, and get ready for more of what God has in store for you!